Coastal cooling is in full effect. 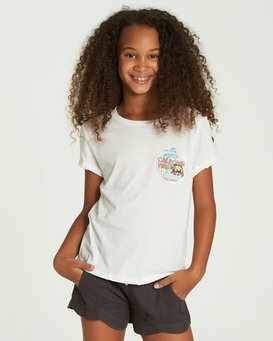 The girls graphic t-shirt features a “California Vibes” screen print and pocket tee cut. 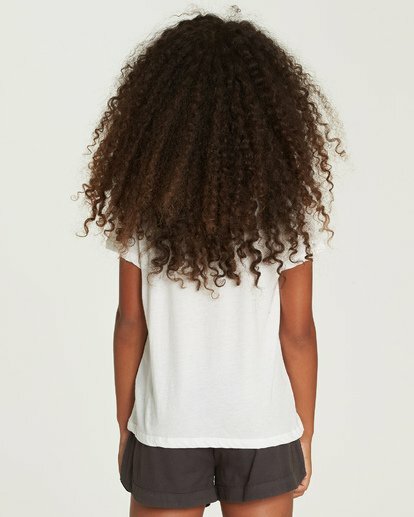 Made with a cotton and modal blend jersey for a soft feel, the girls tee is cut with a crew neck, short sleeves and chest pocket. "Cali Vibes" print at the chest pocket.